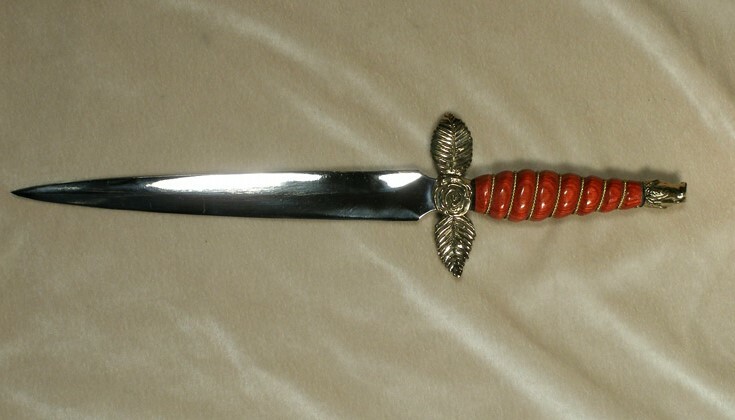 A rose is on either side of the blade with the leaves forming the quillons, and a small rosebud on top for the pommel. Roses are beautiful but beware their thorns. Each knife is hand-made to your specifications, with many options available.